Happily Ever After Thoughts: Interview with Mary Buckham and a Giveaway! Thank you Alexis for having me as your guest today. It's such a delight! Ninja in the house! Mary, you're an inspiration to all of us. I loved the way you came up with your idea for the Invisible Recruits; I find a lot of inspiration in songs and movies. What is your favorite movie? Hi Marla! Appreciate your stopping by. Oh, favorite movie? That's so hard to nail down because it runs the gamut from Fifth Element to Pride and Prejudice (the one with Colin Firth) to Bull Durham to Practical Magic. I could go on and on except I feel the need for a movie fix coming on :-) Thanks for posting and asking a killer question that will keep my brain spinning all day! At least something good has come out of a speed trap! Lol! 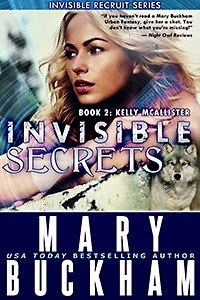 You know this ninja loves your books, and I cannot wait to read Invisible Secrets! Love the cover! 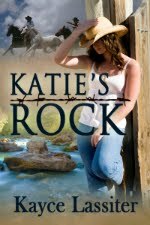 Hi Kimberly and thanks for enjoying the series and being excited about the next book in the series. I woke up in the middle of the night last night already into the next two books in the series - Invisible Embrace which has some real heartbreak and then Alex's next novel. Must write faster!! Awesome, Mary! It's always fascinating to find out how authors come up with their ideas for books. I'm currently reading Invisible Fate and totally loving it, the series and the interaction between the characters.. 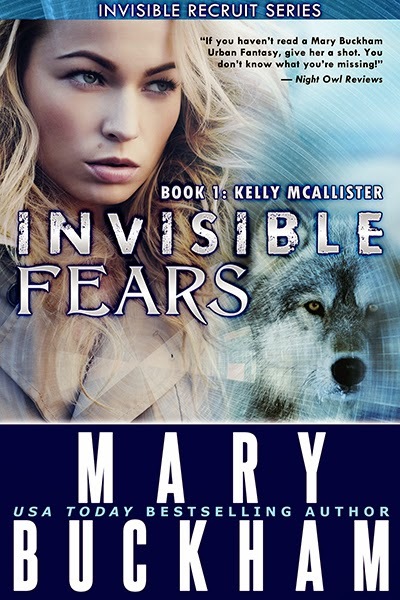 I love reading paranormal/preternatural books and am thrilled to have found your Invisible Recruits series! This Ninja can't wait for Invisible Secrets! Hello Connie and thank you so much for swinging by and sharing! This series is a blast to write. Biggest challenge is keeping the IR team members patient as they wait for Their stories to be told. Nothing like having a bunch of women with attitude yamming at me daily :-) Invisible Secrets is coming . . .
Hi Joysann ~ you have no idea how much your feedback means to me. Thank you! Maybe I can get the next book - INVISIBLE SECRETS out before you get to it in the series :-) It's good to have a goal! Thanks for sharing and stopping by! LOL Kelly ~ some of the coolest heroines I know share the name Kelly and you're one of them! Thanks for taking the time to visit and post today! Hi Mary! You have changed the way I read (and write) setting forever. The hard work you put into your writing makes it seem effortless--like magic. I can't think of any series I've looked forward to reading more! Hi Mary, I'm so glad that you share what you have learned about the craft of writing and do it in a way that is so accessible. Happy that our paths in PT and hope they will cross again. Hey Lynda ~ waving at you from the summer cool PNW! I love being able to share what I've learned through trial and error with other writers. Hoping it might save others some of the learning curve! Thanks for visiting and sharing! hI Mary, i am a big fan of yours. i have all the IR books and love them all. I am so happy to hear that you are not going to give up writing. that is awesome. and of course I am a ninja. lol i can imagine it is frustrating to try to get books published and sold. I really enjoyed the origin story for the IR series! Very interesting! From this reader's perspective, you make the writing thing seem so easy. So, keep kicking those blank pages butts! You do it so well! Hi Heather! Thank you for making my day. When I teach writing classes I remind students that good writing should look easy but that doesn't mean it's easy to get it to that point! Appreciate your swinging by and sharing! Ahhhh Debra, you're a sweetheart - thank you! Your day will be here soon. I'm rooting for you! Cheers!!! Hi Lysette! Lovely to see you again here at Happily Ever After. Thanks for posting! The idea behind the Invisible Recruits Series makes a lot of sense. I am partial to Kelly's quest. Her journey to self discovery is fascinating. I admire and I can relate to her 'I can do it' attitude! Never give up is such valuable advice. I am delighted you ran with it! Just to chime in and say that Mary is an excellent instructor and speaker. If she's ever in your neighborhood, make the effort to attend. You will leave the session a better writer. 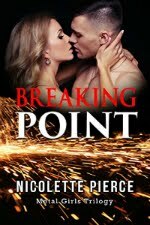 Her craft books are very detailed and give you lots of info to chew on. I am not surprised at all that her IR series is a hit. Hi Jody and thank you ever so much for the kind words. Hoping to get back to the CT area one of these days - one of my favorite places and so chock full of story ideas. Thanks for stopping by and posting! LOL! No pressure here Gail :-) I was writing on the ferry today because Kelly decided to up and change her story on me this week. No worries - it is coming!